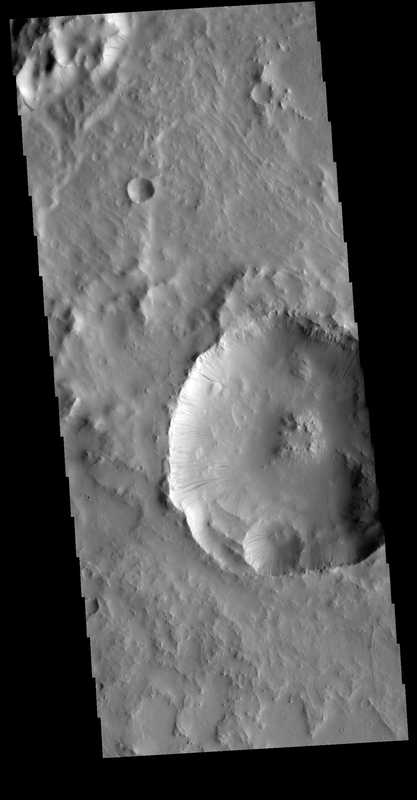 This VIS image is located in an unnamed crater in Terra Sabaea. The entire inner rim of the crater near the center of the image contains dark slope streaks. These features are thought to form by downslope movement of material which either reveals the darker rock beneath the dust coating, or creates the darker surface by flow of a volatile just beneath the dust coating.